Would you like to answer surveys to support a good cause? Then there are plenty of survey sites that offer this opportunity, and this way you can donate to charities without having to actually pay anything. Many of the platforms does however also offer you cash to yourself as a reward instead, if you prefer this once in a while. Below, I will show you 6 legit sites where you can take surveys for charities – they are all easy to sign up for, and you can get started in a few minutes. How do you make money for charities on surveys? How you exactly make money for charities by answering surveys depends on the platforms you join. 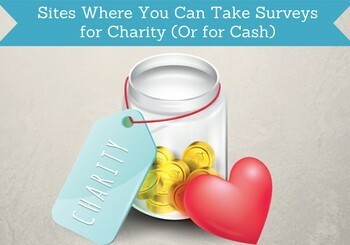 You join a survey site that offers donation to charities as rewards. You start answering surveys, and you will start collecting money that is paid by market research companies. Once you have earned enough to meet the payout threshold, you choose which charity to donate to. Every platform has different charities they cooperate with, and they also have different payout threshold. Below, I will go over the different options for the different platforms, so you can join the ones that fit you the best. Can you use your rewards for other things than charities? If you are wondering, if you can only earn money on survey sites for charities, then the answer is no. On many of the sites, you can also choose different rewards, so if you sometimes want to donate to charities and other times want to get the money in cash for yourself, then that is also an option on most platforms. However, if you mostly want to earn money for yourself, I would suggest you to check out the top paying survey sites instead, as the list below is a list of sites that offer good opportunities to donate to charities. So let’s get to it and go over some of the best sites, that allows donations to charities as a reward for answering surveys. The list below is not a complete list of all the survey sites that has charity donations as a reward. But it is a selected list of the sites, I have found that give the best opportunities in terms of the amount of surveys you can take, the amount of money you can make, and the charities you can donate for. Swagbucks is one of the most popular survey and GPT (get-paid-to) sites in the world, as it gives a lot of different ways to earn money. Many people are not aware that in addition to getting paid in cash or gift cards, Swagbucks also has cooperation with a lot of different charities, you can donate your rewards for. You can earn by taking surveys, watching videos, taking paid offers, surfing the internet, get big discounts on online shopping, participate in free contests, and more. You can join Swagbucks, if you live in the US, Canada, UK, Australia, Ireland, Germany, and France. Which charities you can donate to depends on the country you live in, but examples are The Breast Cancer Research Foundation, Save The Children, UNICEF, and Doctors without Borders. You get a joining bonus of $5, and you can donate to charities when you have earned only 5 cents, so you can start donating right away. GlobalTestMarket is a survey site that is very easy to use. All you have to do is to sign up, and then you will receive an email, when there is a new survey available. It will not give you as frequent survey opportunities as for example Swagbucks, and you can only earn by taking surveys, but it will still give you enough to be able to earn for some nice donations to charities. GlobalTestMarket is available in around 49 countries, and exactly which charities you can donate to depends on the country you live. Usually there are a few different ones to choose from. It is available in the local language in most of the countries, where it is available. Microhero is a very interesting platform, when it comes to making money for charities. All the other platforms on this list have several payout methods, you can choose from, where charity donations are one of them. MicroHero is made with the main purpose of getting charity donations, and therefore you can also not choose other reward methods. If you want to answer surveys for a good cause, this is a very interesting platform to use. You have to download an app to be able to use the platform, and it is only available for iPhone at the moment. The surveys you will get are short and will not take you long. Every time you answer a question, you will see a micro donation going to your favorite charity. As far as I have been able to find out, It is only available in the US. It has a cooperation with 200 charities, so you can definitely find a cause, you would like to support. On Ipsos i-Say you can earn mainly by taking surveys, and you will receive an email, when there is a new survey available. It is very easy to use, and offers frequent surveys throughout the week. In addition to earning on surveys, you can also earn on the loyalty program the platform has in some countries, where you earn a bonus the more active you are. Furthermore, i-Say has regular free contests, you can participate in. Ipsos i-Say is available in around 100 countries, and in most of the countries it offers a platform and surveys in the local language. One of the reward methods are donations to charities. Which charities and how many you can choose from depends on the country you live in. You can donate once you have earned $10. InstaGC has several ways you can earn for your favorite charity. 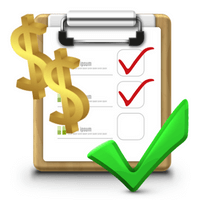 You can of course take surveys, and this is the main way to earn here. But you can also earn some good rewards by taking offers, downloading apps, surfing the internet, by doing CrowdFlower tasks, watch videos, predict sports results, and you can earn weekly bonuses depending on your activity. You can join InstaGC no matter where in the world you live, but there will be most opportunities for people living in English-speaking countries. You can choose between several reward methods, and one of them is donations to charities. You can choose between around 20 charities, and you can donate as little as 1 cent, so you can start donating right away. Prolific is a platform where you can participate in scientific research and studies. That means that most of the surveys there are from researchers that need some answers and data. So there are some quite interesting surveys, but it is not a survey site, where you will get a lot of daily opportunities. It is available in 34 countries at the moment, and you can either choose to get paid in cash or donate to charities. There are usually a few different charities you can donate to. After each survey, you will be asked, if you want to donate to a charity, or if you want the reward into your Prolific account. As you can see, there are some good options to choose from, if you would like to take surveys and donate your rewards to charity. It can be a great way to be able to support charity by giving your time instead of money. And by participating in surveys, you will at the same time give important input and feedback that can be used to improve products and services. So now you just need to choose the sites above that fits your interests and need the most, and then start taking surveys. And remember – you can join as many of the sites you want. Joining more sites will naturally increase your chances of earning. If you have any comments or questions, just leave a comment below, and I will get back to you shortly. I have been a member of a variety of survey sites for quite awhile and can speak to experiences with i-Say, GlobalTestMarket, and Swagbucks. While it is possible to earn rewards, in terms of cash or points, it is also important to note that it will take time to achieve these earnings. Just because you receive an invite for a particular survey, does not necessarily mean you will qualify, and earn rewards for that survey, although some sites may give you a small gift just for trying. I will say I did learn something new with your post, as I was not aware that there are sites where you can take surveys and donate your earnings to charity. While it may sound like a great idea to sign up for a lot of sites at once, it can quickly become overwhelming to get a large number of invites in your inbox every day. Thanks for your comment. Very true that there will often be surveys you do not qualify for. After a while and with a bit of experience, it is however possible to figure out which surveys you are most likely to qualify for and just focus on those. I agree that it can be overwhelming to sign up for too many sites at the same time. Very good point. I usually recommend to sign up for 4-6 for a start to have a good amount of opportunities, but still not be overwhelmed. If you sign up for too many, chances are that you will not give them they time you need to figure out how to get the most out of them. Once you get used to doing surveys and find out how the sites work, then it is possible to sign up for several more without being overwhelmed.